I've used this metaphor way too often to not use it in a comic. But it still holds true that some ideas take some time to properly ferment, only to scamper forth when good and ready. 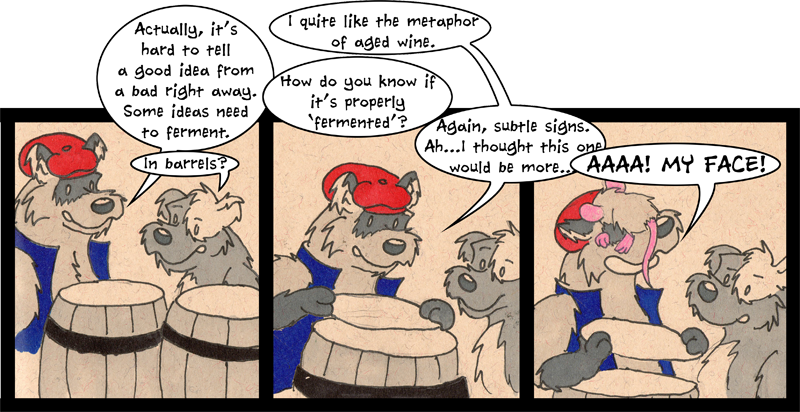 For instance, this webcomic project fermented in one form or another for years before it came together...and it's still fermenting now. ^^; Ideas are quirky that way. Though I wouldn't recommend actually drinking them.